The Ozark features a satin finish, Ovankol top with spruce back and fine tuning system. The Fine Tuning System is a must have for the serious Autoharpist. Keep you ‘harp in tune with this featured system. 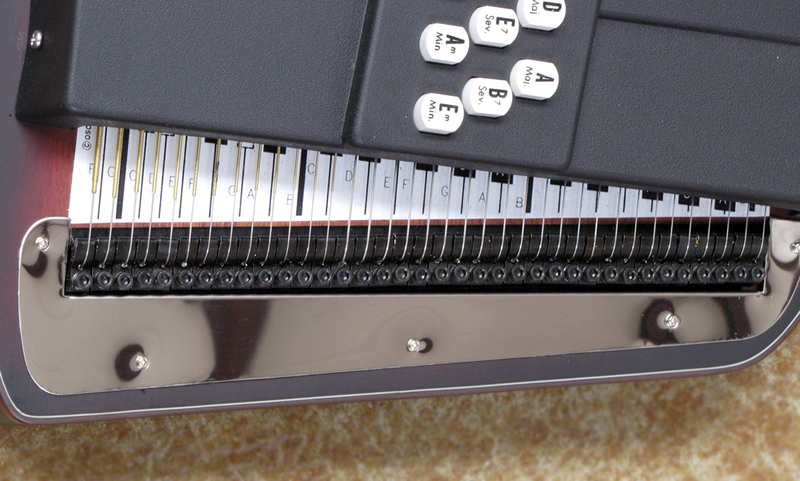 The fine tuning system is installed in this autoharp, a perfect finish for any professional or perfectionist. 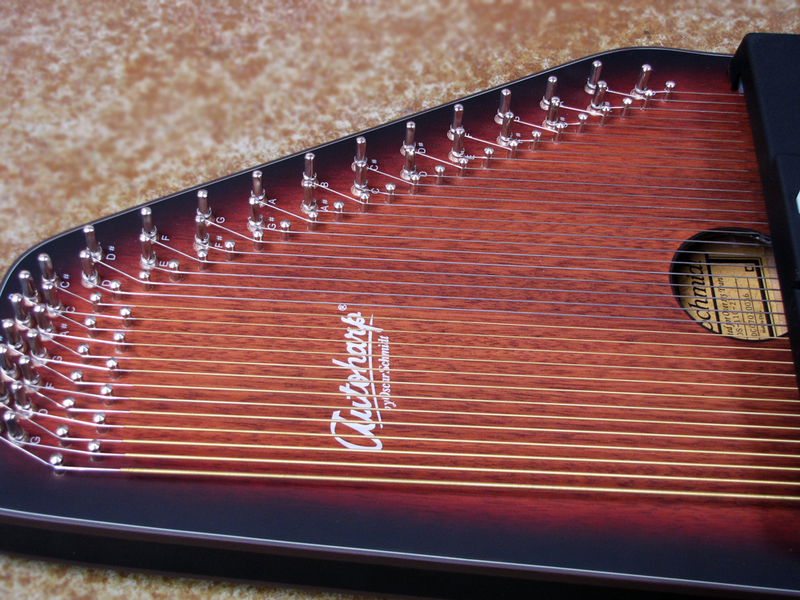 Although tuning an autoharp can be difficult, the fine tuning system will help get your instrument right in tune. Saves on price and additional labor costs to have tuner installed at a later time. 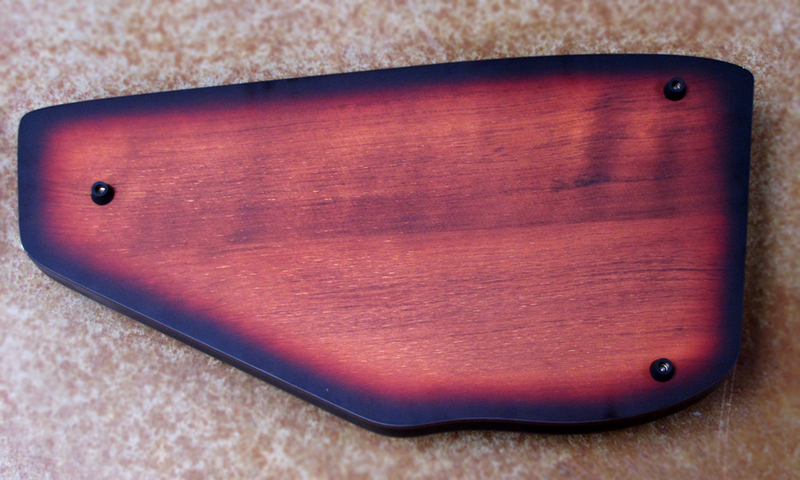 Solid spruce back is a wonderful finish to this autoharp by adding strength and value. There are many factors that could change your tune. This fine tuning system is for the professional or serious Autoharp player that wants to keep this Autoharp in great playing condition and in accurate tune. This 'harp was designed with the player in mind. The solid spruce back assures you that this ‘harp will last. It is built for added strength. The solid spruce resists splitting and cracking. The lengthwise grains are straight, close and dense which provide excellent support. Select Ovankol top gives a unique look. The natural high gloss finish gives this Autoharp a beautiful look. The Autoharp is one of the few musical instruments that can claim to be truly American in origin. Invented in 1881 and patented in 1882, the Autoharp has had a remarkable hundred-year history. After being proclaimed “the nation’s favorite musical instrument” and then nearly fading into obscurity, the Autoharp has taken its manufacturers on an endless roller coaster of ups and downs. As a nineteenth-century parlor room favorite, it was finally replaced in popularity by the phonograph. The Autoharp did not die. It retreated to the mountains where it underwent a metamorphosis from a parlor instrument to a folk instrument. 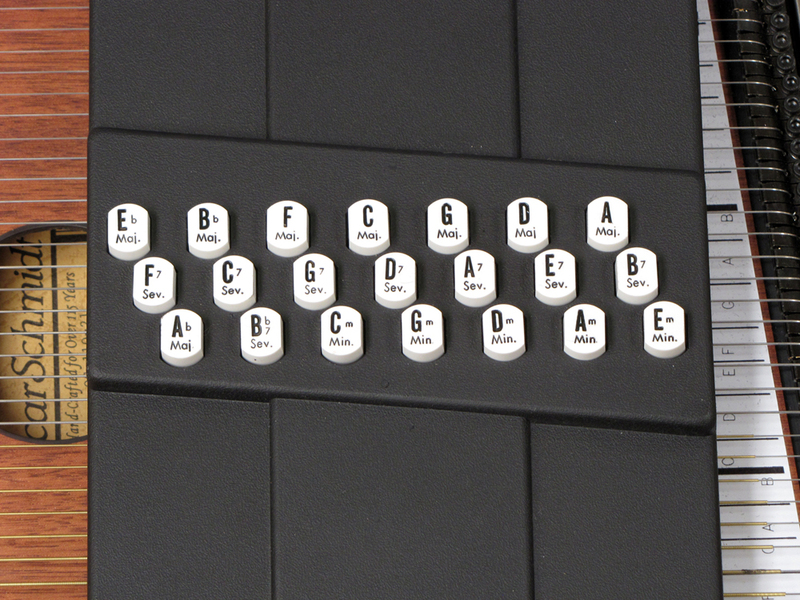 From there it came out into our schools to become a classroom feature, and finally has emerged as a popular instrument for the serious musician.